The newest fad diagnosis for my generation has been the revelation of the Quarter Life Crisis. It's not like the mid-life crisis where 50-somethings buy convertibles and revert to their youth. Instead, 20-somethings realize we're not getting any younger and start looking for the greater purpose in our lives. That turning point for me can easily be pinpointed to one very specific week in late September of 2006 a month after turning 26. 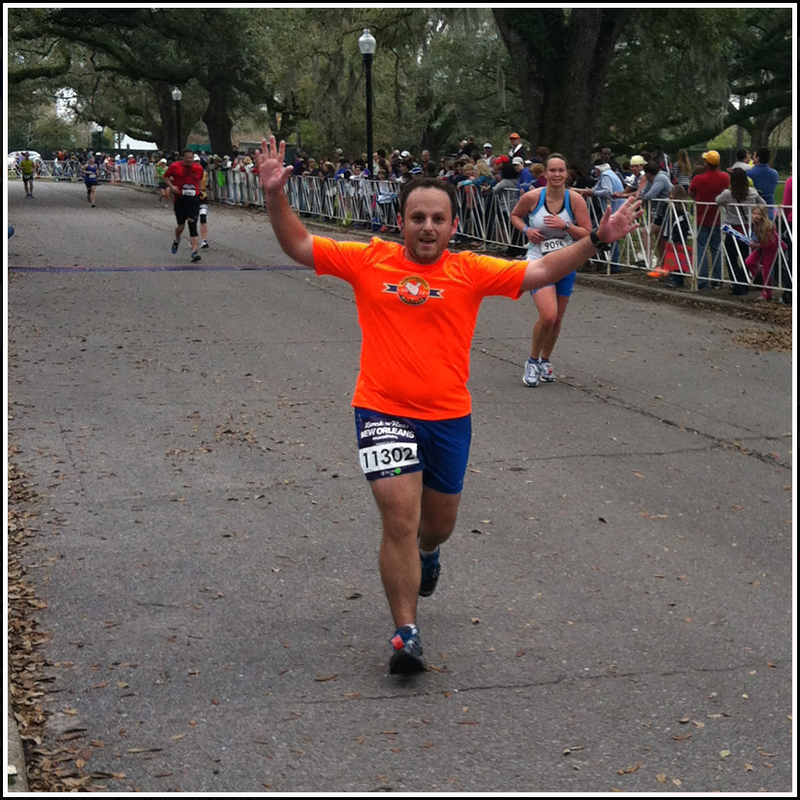 That was the week that I decided to run my first marathon. 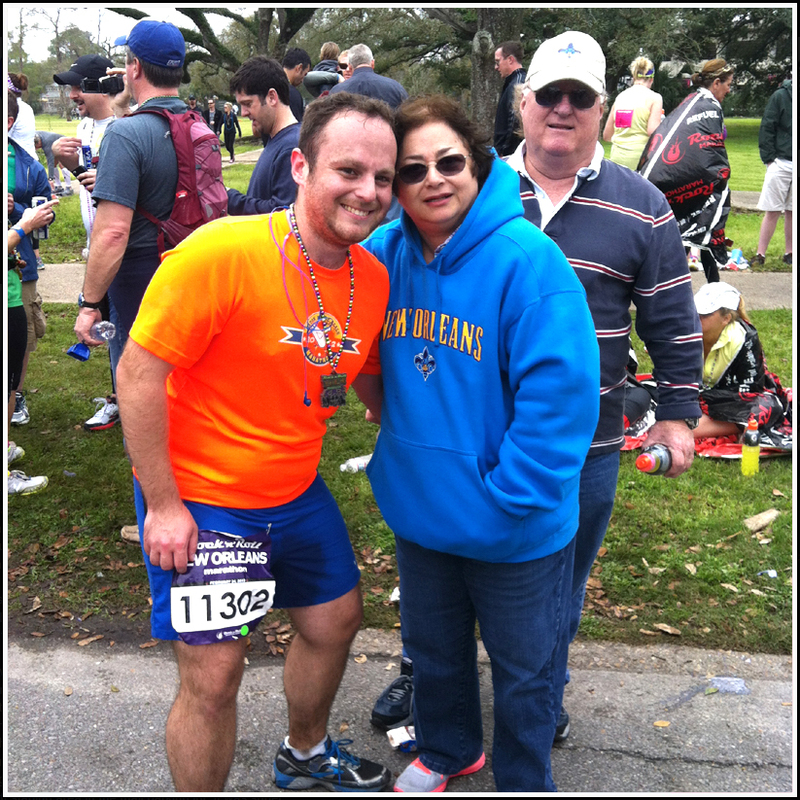 Eight weeks after making that decision, I ran the Baton Rouge Beach Marathon. It's a double looped course, and I figured that if I didn't feel like doing the full 26.2, I could accept the 13.1 achievement as part of my training. Up until that point, the longest run I had completed was roughly 8 miles, and knew running the half would be a feat in and of itself. I completed the full, and immediately admitted I was hooked. That brings me to 2013. Four years later, and 28 full marathons under my belt. I had it in my mind to complete thirty marathons before the age of 30. The 2013 Walt Disneyworld Marathon was intended to be my 30th full; however, as a result of the cancelled NYC Marathon the previous November, achieving my end-goal was pushed back. 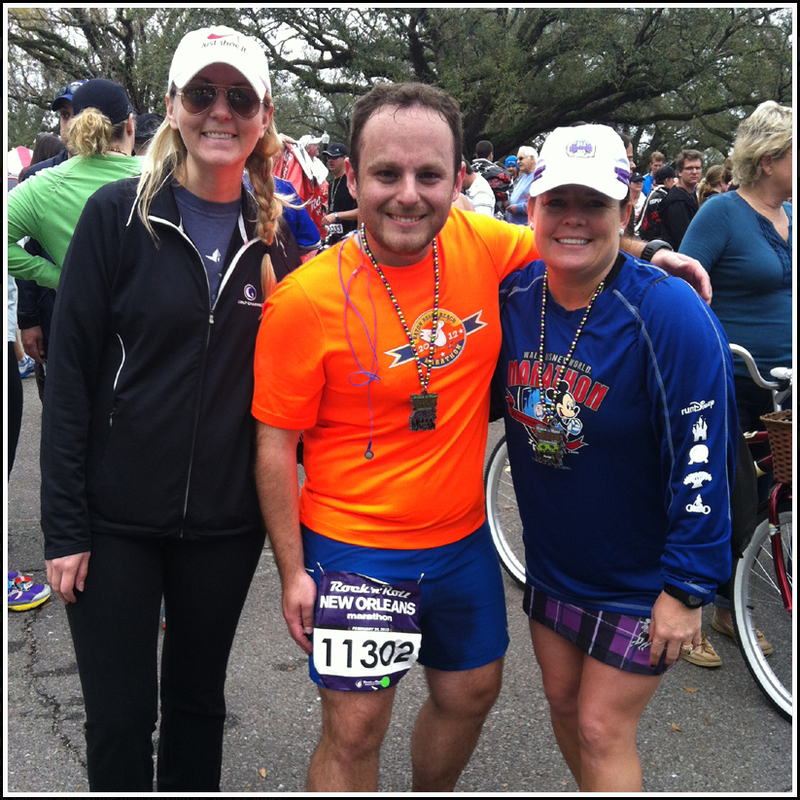 As magical as every runDisney race is, the shift of my thirtieth marathon to the Rock 'n' Roll New Orleans race was the best thing that ever could have happened. Race morning was perfect. Weather was balmy, but negotiable since I was used to training in my home town's above average temperature. I had friends to see at the start, including Karen who had flown in from Kentucky to run the half. I wasn't at the peak of my training, but knew that I could get through the miles if I paced myself properly. I even knew where on the course I could catch support from friends, and those moments were what kept me going. Sure enough, I had a friend who lives on the course come out to catch me at mile 8 (I was shocked he woke up before noon on a weekend), one of my closest friends is always dependable at mile 9, and I had my parents strategically placed at mile 14 just after passing the halfway point / finish line for both races. Knowing I have to pass the finish to see my parents a mile later keeps me moving every year. Much to my surprise, Katherine was able to bike to a miserably long stretch on the back side of City Park to find me on-course. She provided some desperately needed laughs and pineapple gu to a very tired runner. To this day, I'm not sure she realizes how much I needed that break. I really don't think my parents understand the pawns they play in my marathon game. They are stationed at that place on the route to catch me again just before mile 25, allowing them to walk in to the park to meet me at the finish. As expected, they were there with water in-hand, along with Karen and Emmeline who had the announcer welcoming me back with a congratulations on my 30th race. Honestly, it was an out of body experience. I couldn't have asked for better support that day, and I definitely was glad that I was able to make this my "goal finish" amongst my family and closest friends. Today as I celebrate my 30th birthday, I know that I have evolved to the point of doing something I had no interest in less than five years ago. I'm excited about what the next decade (and beyond) is going to bring, and having those same cheerleaders with me along the route will get me through the miles both on and off the race course. Congratulations again on this achievement. I was so happy to be a small part of your 30th marathon. Your running achievements continue to inspire me! Happy birthday!